NEW. Refillable stainless steel 500 mL drink bottles. 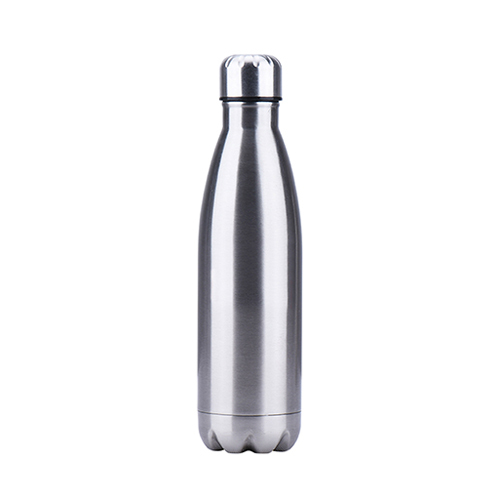 These 500 mL refillable stainless steel double insulated drink bottles look great and perform really well. The double insulated bottles keep cold water cold and hot drinks hot. You could even try our range of instant teas to add variety to your hot or cold water. Available in a range of colours including standard, metallic and pastel shades. We can also print a 1 colour or engraved logo if required. Minimum order 50 bottles without logo. Minimum order 100 bottles with logo. Lead time 3-4 weeks. Sometimes quicker if required.